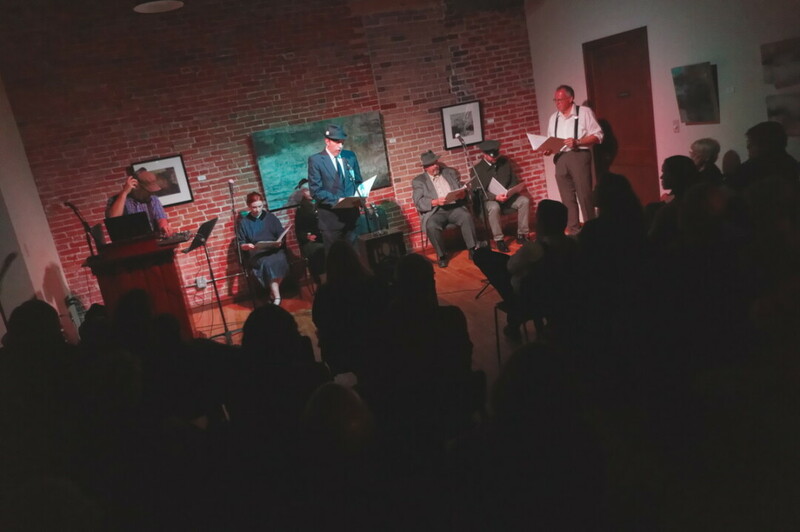 In celebration of the 78th anniversary of Orson Welles' classic radio drama, "War of the Worlds," locals enjoyed a reader's theater reenactment of the infamous show on Friday night, October 28 at The Local Store in downtown Eau Claire. Listeners donned their favorite 1930s-era suit coats and flapper dresses for a evening of mass hysteria, panic, and alien invasions. Featured performers included Paul Thomas, Rob Reid, Ken Szymanski, Katie Hennen, Jason Splichal, Debbie Brown, and Jim Rybicki. Sounds was handled by Scott Morfitt, lights by James Johonnott.